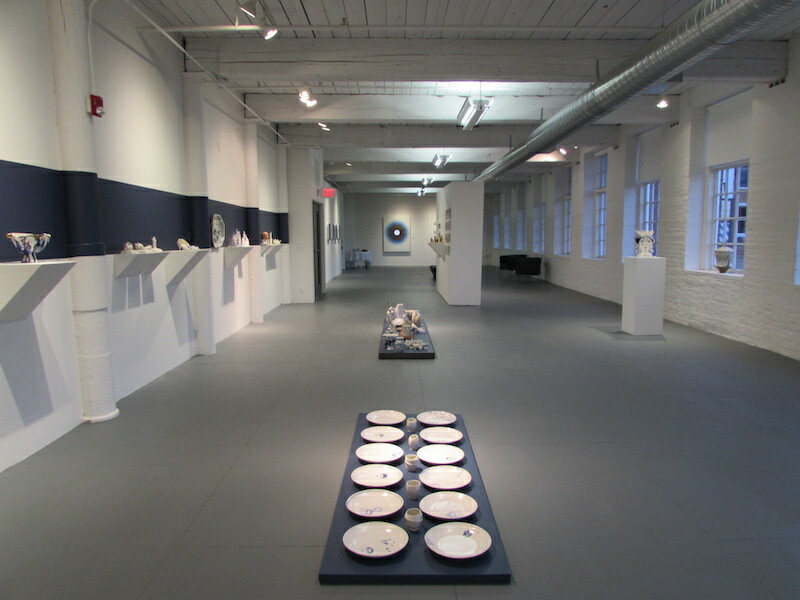 North Adams, MA — Independent Art Projects is pleased to announce two new exhibitions opening on November 22, 2014: artKamp: indigo mass, a collaborative contemporary ceramic installation presented by Ferrin Contemporary, and Modern Renaissance, Anne Morgan Spalter’s recent photo-based art installations, presented by CYNTHIA-REEVES. artKamp: indigo mass is an exhibition of selected works created during artKamp — a two-week international residency featuring eight artists working collaboratively to create a unified tablescape. Individual works by artKamp artists, which include Ben Carter, Chase Gamblin, Alexandra Jelleberg, Frances Palmer, Bonnie Smith, Mara Superior, Vipoo Srivilasa, and Elenor Wilson will also be on view. In Modern Renaissance, Spalter creates a unique spatial experience by integrating printed and moving imagery, using both traditional photography, as well as computational tools. Continuing her exploration of the modern landscape and its relationship to landscape works of the past, Spalter combines aerial urbanscapes with video works based on Renaissance painting and cathedral imagery. Several artKamp’s artists and Anne Morgan Spalter will be attending the opening reception, and guide the public through the exhibitions on Saturday, November 22, 5-7 PM. TO READ MORE AND DOWNLOAD THE PRESS RELEASE CLICK HERE.